Length : 10", 20", 30", 40"
The electro polish finish eliminates possible contamination which could leach into the process chemicals. T-line housing can be supported by tripod legs, rigid tubing or wall mounted bracket. 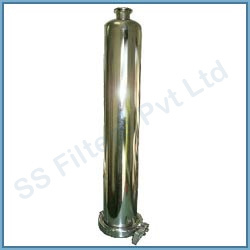 SS Filters Pvt Ltd Stainless Steel filter housings are constructed of electro polished SS 304 / SS 316/ SS 316L material. It gives excellent resistance to corrosive chemicals & product purity. These housings are typically used in pharmaceutical , chemical, water & other allied industries. This multicartridge housing can consist of 3 cartridges, 5 cartridges or up to 20 cartridges to give the desired flow rate as per customer requirement. The electro polish finish eliminates possible contamination which could leach into the process chemicals. T-line housing can be supported by tripod legs, rigid tubing or wall mounted bracket. 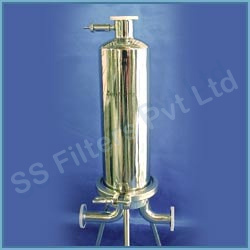 SS Filters Pvt Ltd has a large variety of Stainless Steel Housings designed for cartridges for high purity applications. 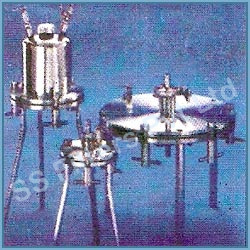 SS Filters Pvt Ltd stainless steel pressure type filter holders can be used for ultra cleaning or sterilizing liquids & gases. The pressure filter holders have been designed to maximize flow rates and to minimize holder resistance. The flow rates are maximized by applying positive pressure to the fluid over a broad membrane surface. The filter holders are autoclavable. SS filter holders comes in different sizes of 13, 25, 90, 47, 142 & 293mm. 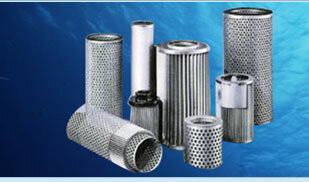 Suitable filter media of different porosities can be used accordingly. Unintentional contamination downstream of the membrane is minimized. Denaturation of proteins and other biological polymers due to foaming downstream of the membrane is avoided . gas to pressurize solvents and combustible or flammable liquids. 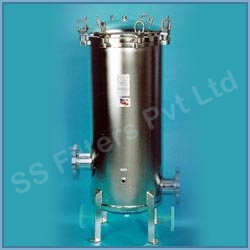 SS Filters stainless steel pressure type filter holders can be used for ultra cleaning or sterilizing liquids & gases. They have been designed to maximize flow rates and to minimize holder resistance. The flow rates are maximized by applying positive pressure to the fluid over a broad membrane surface. The filter holders are autoclavable. They can be used in either batch or continuous filtration procedures. All holders vent to release pressure. 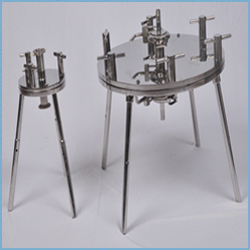 They have silicon gaskets or silicon O-ring and stainless steel support screens to prevent membrane from sticking. SS filter holders comes in different sizes of 47, 90, 142 & 293mm. 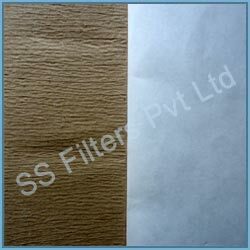 Suitable filter media of different porosities can be used accordingly. Enzymes, Proteins, biological media, pharmaceuticals, cosmetics, ultrapure water, serum, gases etc. 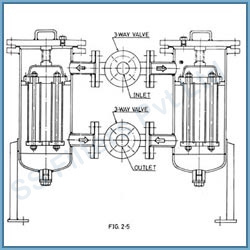 The duplex filter system consists of two filter housings connected in parallel through change over ball valves. 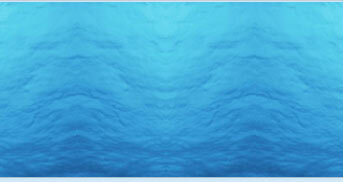 A duplex filter can operate continuously and never have to be shut down for cleaning. Duplex filter has two simple filters connected by way of common flow diverter. When one filter gets clogged the flow can be diverted to second filter housing through change over valves. The cartridges of that filter housing can then be washed/ changed and replaced. 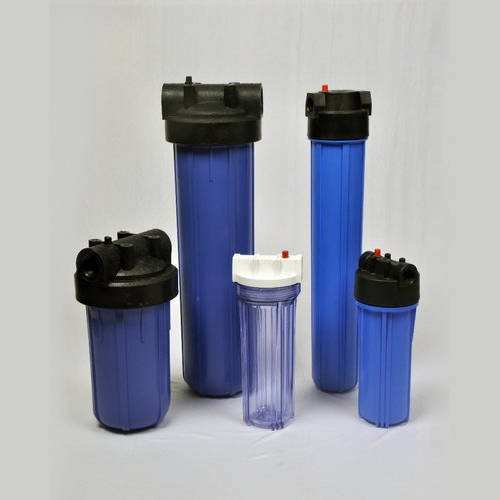 Duplex filter is designed for continuous filtration. 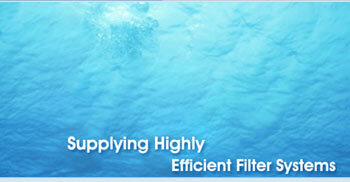 Standardized and modular filter housing design for any flow rate & any micron rating filtration. Whatman filter papers For many years filter paper has been widely accepted as one of the most versatile filter media available. Due to a basic formulation of cellulose fibers in random matrix, it has good dirt holding capacity and can be used for a wide range of applications. Filtration is a technique used for two main purposes. The first is to separate solid impurities from a liquid. The second is to collect desired solid from the solution from which it was precipitated or crystallized. Several methods of filtration are commonly used. In laboratory, two general methods used are, gravity filtration and vacuum (or suction) filtration. In gravity filtration the solution to be filtered is passed through a filter paper held in the funnel allowing gravity to draw the liquid through the paper. Vacuum or suction filtration is more rapid than gravity filtration. In this method a receiver flask with a side nozzle known as filter flask is used. The side nozzle is connected to heavy walled rubber tubing to a source of vacuum. 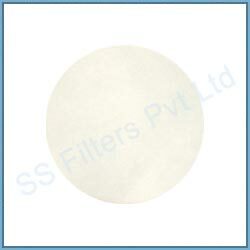 SS qualitative filter paper is generally used for qualitative chemical analysis, relevant to solid/liquid separation. Qualitative filter paper can be divided in to fast, medium and slow speed when measured by filtering speed and separation performance. It is widely used in general laboratory filtration, liquid clarifications and analytical separation. SS quantitative filter paper is mainly used for quantitative chemical analysis. They perform separation by trapping the particulates within the random matrix of cellulose fibers located in the depth of the media. These ashless filter papers are manufactured from ultra refined alpha cellulose filter media. They are acid washed and finally cleaned with ultrapure water. They have extremely low ash content (<0.01%) and good wet strength. 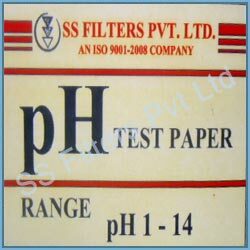 The basic chemical properties of qualitative and quantitative filter paper are given in table I SS Filter paper is at par with other known brands offering good price advantage without compromising on quality. pH Indicator paper strips are manufactured by impregnating special quality filter paper with indicator or mixed indicator solutions. The convenience of using indicator papers for the rapid determination of pH values has led to many applications of this item in laboratory and industries. Although there are a number of commercially available universal pH indicators, most are a variation of a formula patented by Yamada in 1923. Normally, the test solution causes the colour of the indicator strip to change depending upon the pH at 25°C, considered the standard temperature. They are used to test the alkalinity or acidity of a solution or substance such as soil. pH papers are usually sold as strips. These strips of paper change color when they come in contact with the material or solutions being tested. As most naturally occurring organic compounds are weak protolytes, carboxylic acid & amines, pH indicators find many applications in biology & analytical chemistry. For optimal accuracy, the difference between colors should be as clear as possible. For this purpose, pH indicators are made by the addition of several chemicals to give precise indication. Note: One pack contains 100 strips of pH test paper. Seed Germination paper is a speciality paper used as a substratum in the seed germination test. This paper should be free of toxicity, evenly finished and should be free from bacteria and fungi. Germination count is the main quality parameter for any type of seed to test the viability, vigor and its physical appearance. Seed germination paper ensures optimal moisture content for the most diverse types of seeds and germination forms. This paper features excellent wet strength and its special structure prevents the seed roots from growing through. SS Filters seed germination paper is known for its Quality and Reliability. Besides, the properties mentioned above, it also has high absorbent capacity and comes in standard specification of 5-7 pH range with good bursting strength. Available in brown and white shades in sheet form. Can be used as a filter in lab, schools and nurseries.